The Eel River Bridge (04 0016R) was built in 1940 with an unfortunate geometry, structure-type, and design for the site. 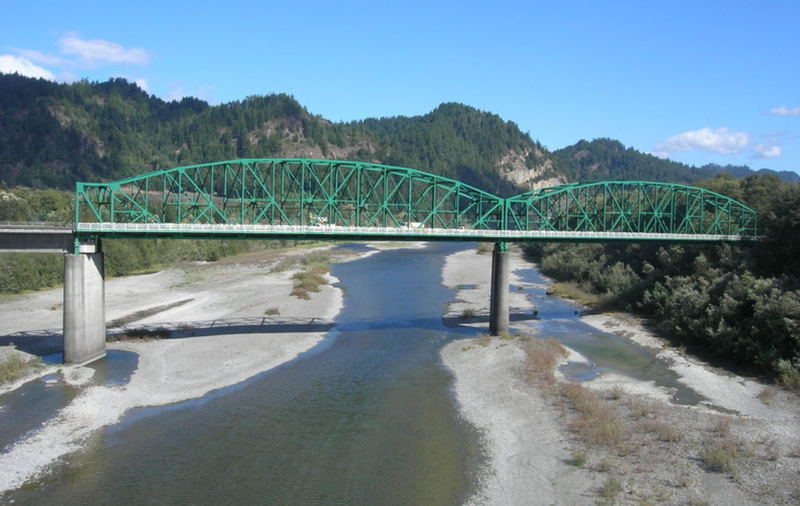 It was originally a three span Pratt through truss bridge, but log jams during floods caused so much damage that the third truss span (and most of the girder spans) had to be replaced in 1964 (see photo below). 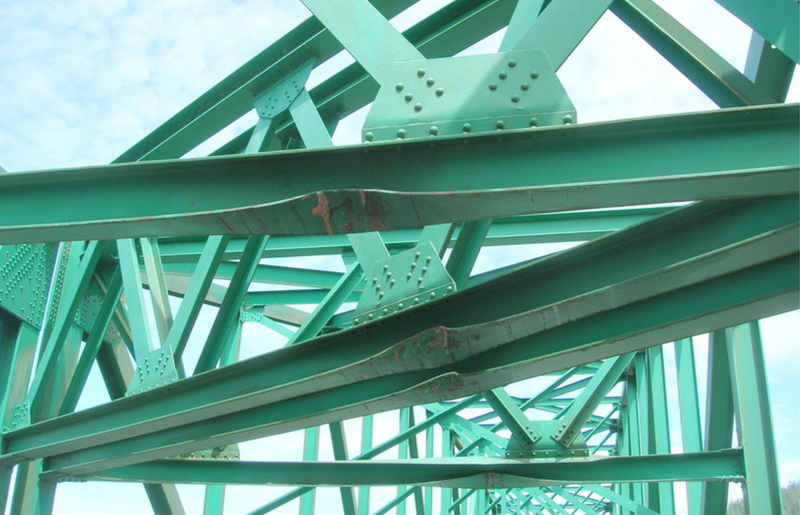 The piers were so vulnerable due to earthquakes that lead-rubber isolation bearings were eventually placed between the piers and bearings (in 1986) to reduce the inertia forces from the heavy truss spans. 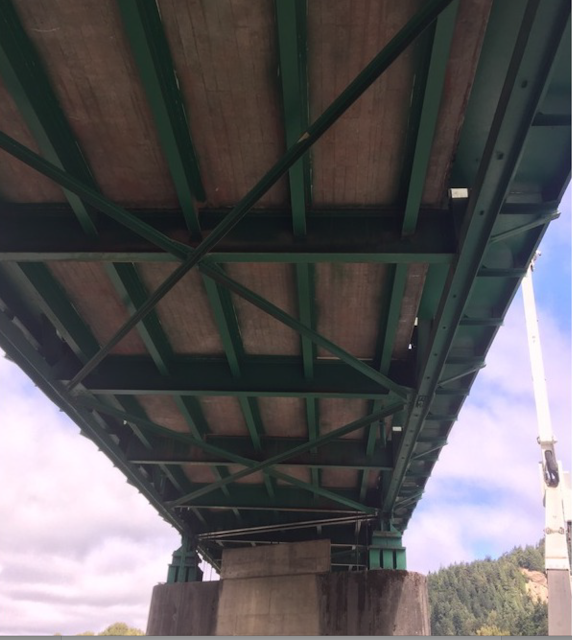 Also, the remaining through truss spans were constantly in need of repair due to oversize loads damaging the cross-bracing (see photo below). This bridge is now 78 years old, but it needed constant work to remain in service. That third span which was replaced after the '64 floods was again destroyed in the 80s (86?) 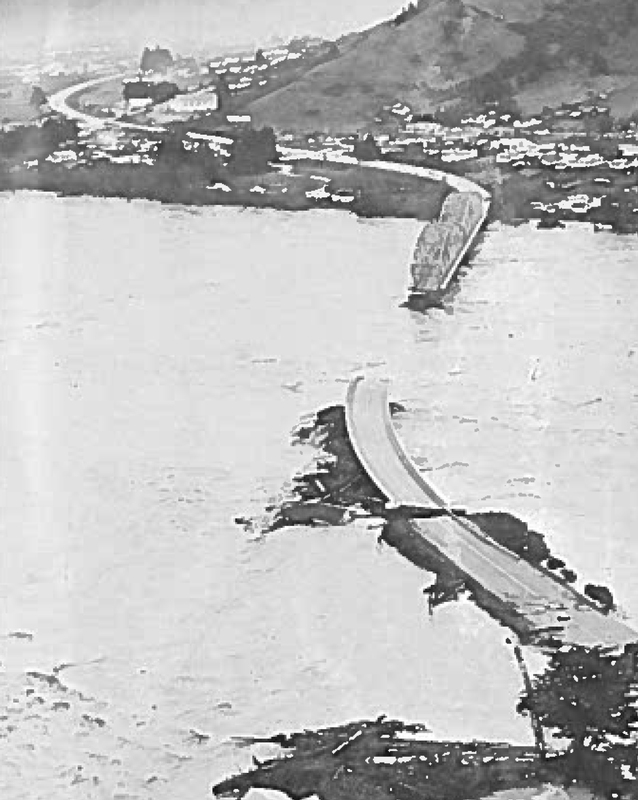 by another log jam as well.